This is your chance to meet the ocean's true ancient mariners. Sea turtles can live to 100, and in the waters of Barbados, they aren't shy at any age. You'll find them munching on sponges on shallow reefs, gliding across sand-bottom bays and napping under the keel of a sunken tugboat. Turtle swims have become a signature adventure on the island sometimes known as known as “The Caribbean's Little England.” But these are not trained or captive animals; they are free-swimming reef dwellers who sometimes approach with gregarious curiosity, and other times go about their business, undisturbed by the humans who join in and swim along. Four of the world's five species of sea turtles are found in the waters of Barbados. The huge leatherback and stout loggerhead are occasional visitors, while hawksbill and green turtles are quite common. Named for its parrot-like beak, the hawksbill is more often seen on the reefs, where it nibbles on sponges. Green turtles, which can grow to sizes of five feet or more, are the most common type seen during swimming encounters. Chasing or harassing a sea turtle is a definite no-no. Some turtles will hold their position even when a swimmer approaches very close, but just as often an aggressive move may cause them to swim away. A better way to enjoy an up-close encounter is to swim on a parallel course, allowing them enough personal space to move closer if they so choose. There's a chance of running into a turtle any time you are diving or snorkeling in Barbados. For an almost guaranteed encounter with multiple turtles, the best bet is one of the boat-based tours that choose a destination based on current water and wind patterns. Favorite areas include Carlisle Bay, where waters are generally calm, and turtles gather to take advantage of the tasty morsels offered by guides. If you own a mask and snorkel, bring them, but ask about fins. Some operators prefer swimmers not wear fins to prevent accidentally kicking the turtles. Make sure your waterproof camera has a wrist lanyard, and bring a waterproof carry case for valuables, as boat decks can get wet and drippy. SOUTH COAST - CARADONNA RECOMMENDS includes 7 nights Standard Garden Room accommodations, Garrison Historic Tour – Duration approx 3 hrs (Thursdays only), Barbados by Sea - Sail, Snorkel and swim with Turtles - Duration 5 hours, Island Explorer 4x4 Land Rover Tour - approx 5.5 hrs, breakfast, lunch and dinner daily, snacks, and beverages including house wine with meals, weekly cocktail party, scheduled entertainment, non-motorized watersports, roundtrip airport transfers, hotel tax and service charges. Valid 6/1/19-10/31/19. 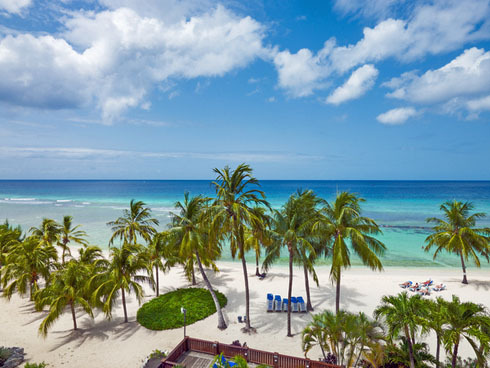 Add $63 per person for travel 5/1/19-5/31/19 & 11/1/19-12/14/19. Book by 4/30/19. WEST COAST - CARADONNA RECOMMENDS includes 7 nights Standard Room accommodations, Garrison Historic Tour – Duration approx 3 hrs (Thursdays only), Barbados by Sea - Sail, Snorkel and swim with Turtles - Duration 5 hours, Island Explorer 4x4 Land Rover Tour - approx 5.5 hrs, breakfast, lunch and dinner daily, snacks, and beverages including house wine with meals, weekly cocktail party, scheduled entertainment, non-motorized watersports, one catamaran snorkel cruise with the turtles, one glass botton boat ride, WiFi, roundtrip airport transfers, hotel tax and service charges. Valid 6/1/19-10/31/19. Add $177 per person for travel 5/1/19-5/31/19 & 11/1/19-12/14/19. Book by 4/30/19. SOUTH COAST - BUILD YOUR OWN PACKAGE includes 7 nights Standard Garden Room accommodations, breakfast, lunch and dinner daily, snacks, and beverages including house wine with meals, weekly cocktail party, scheduled entertainment, non-motorized watersports, roundtrip airport transfers, hotel tax and service charges. Options to add-on Culture Tours, Snorkel Excursions, Offroading Adventures and Learn to Dive Courses. 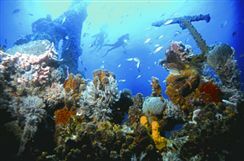 SOUTH COAST - BUILD YOUR OWN PACKAGE includes 7 nights islandview accommodations, one Garrison Historic tour including the George Washington House, one snorkel trip including snorkling over wrecks and swim with endangered turtles plus a bajan buffet and rum punch, one Famous Oistins Friday Fish Fry including dinner and welcome drink, complimentary bottle of Pirate Rum Punch, free WiFi, complimentary shuttle to bridgetown, complimentary roundtrip airport transfers, hotel tax and service charges. Options to add-on Historical Tours, Snorkel Tours and 4X4 Tours. WEST COAST - BUILD YOUR OWN PACKAGE includes 7 nights Standard Room accommodations, breakfast, lunch and dinner daily, snacks, and beverages including house wine with meals, weekly cocktail party, scheduled entertainment, non-motorized watersports, one catamaran snorkel cruise with the turtles, one glass botton boat ride, WiFi, roundtrip airport transfers, hotel tax and service charges. Options to add-on Culture Tours, Snorkel Excursions, Offroading Adventures and Learn to Dive Courses. WEST COAST - BUILD YOUR OWN PACKAGE includes 7 nights accommodations, free WiFi in public areas, roundtrip airport transfers, hotel tax and service charges. Options to add-on Culture Tours, Snorkel Excursions, Offroading Adventures and Learn to Dive Courses. WEST COAST - BUILD YOUR OWN PACKAGE includes 7 nights accommodations (adults only) including all meals and beverages including alcohol, roundtrip airport transfers, hotel tax and service charges. Options to add on hiking tours, snorkeling tours with turtle encounters, cultural and historic tours. 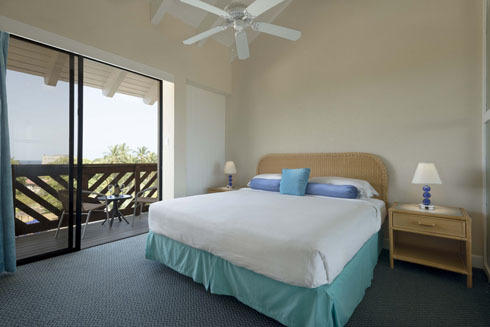 SOUTH COAST - BUILD YOUR OWN PACKAGE includes 7 nights 1-bedroom gardenview accommodations, free WiFi, roundtrip airport transfers, hotel tax and service charges. Options to add-on Historical Tours, Snorkel Tours and 4X4 Tours. WEST COAST - Set on a beautiful beach on the west coast, 76 rooms are designed in a modern style with king beds, cable TV and more. Ideal location for families, couples and singles wanting an all-inclusive vacation combined with the personal service of an intimate resort. Diving with Hightide Water Sports. 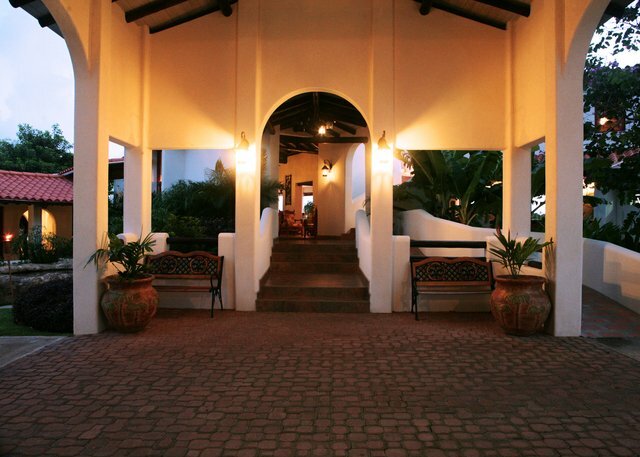 WEST COAST - Nestled in the heart of Sunset Crest, this resort features 48 suites within cottages. Each 750 square-foot room includes a kitchenette, dining and living areas, private patio, cable TV and a parking space. The hotel also offers a restaurant and bar, free wireless internet access and a free shuttle service to nearby shops and beaches. Diving with Hightide Water Sports. 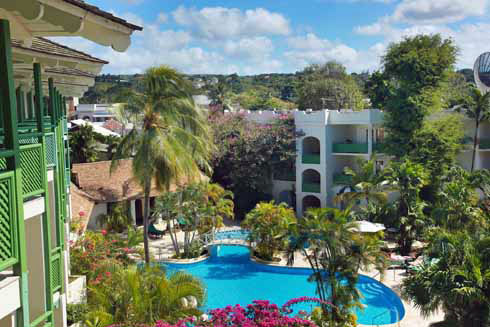 SOUTH COAST - This popular family owned hotel is located directly on the beach. It is just minutes away from St. Lawrence Gap and the South Coast Boardwalk with shops, supermarkets, restaurants and nightlife nearby. Coconut Court Beach Hotel offers a wide choice of accommodation with large and comfortable Studios facing the ocean with private balconies, and limited or full kitchen facilities. The lovely beach is secluded and is home to approximately one third of the nesting marine turtles of Barbados with an active nesting season from July to November each year. 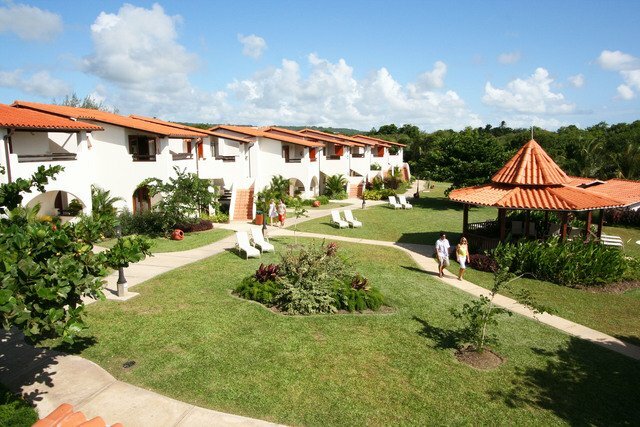 SOUTH COAST - Set on a half-mile of beach amid 20 acres of tropical gardens in the lively St. Lawrence Gap, this resort offers a host of activities. Over 130 spacious suites with fully-equipped kitchens and a host of amenities make it a perfect choice for a special island vacation. Diving with Barbados Blue Water Sports. 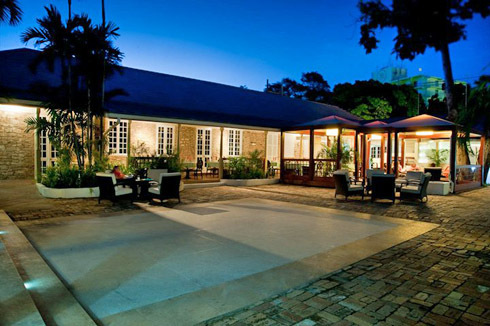 SOUTH COAST - Take a scuba diving vacation to Barbados and stay at the Island Inn Hotel, originally constructed in 1804 as the rum store for the British military, is a restored and refurbished historic Garrison Building. This hotel has 23 air-conditioned guest rooms, each furnished with either a king-size or a queen-size bed, with private bathroom with tub or shower. WEST COAST - An adults-only boutique hotel on the west coast. Accommodations include one and two-bedroom suites, penthouse and villa. 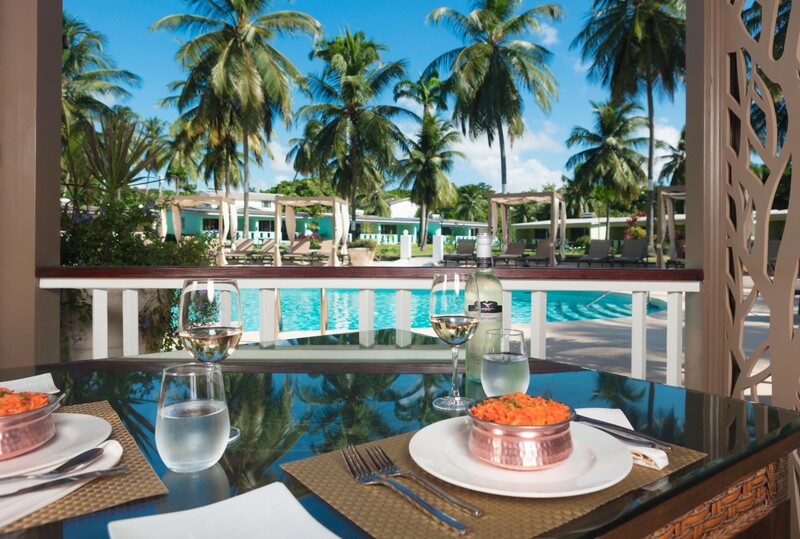 Dining amenities include two restaurants, bar, and an authentic Barbadian rum shop. Indulge in your choice of two pool including a pool bar and spa with seven treatment rooms. Shuttle service available to the nearby beach. Entry/Exit Requirements: Entry into Barbados requires a valid passport. Visas are not required for U.S. Citizens with stays of less than 6 months. Stroll down St. Michael’s Row from the Parliament Building to Queen's Park and you might imagine you were in a warmer version of England. At least until a passing local calls out a lilting “good day.” Then you'll know you're in the Caribbean. Barbados offers a unique mix of British infrastructure and African roots, and its people are known for their lighthearted attitude to live and their civility. Oral traditions honed generations ago around equatorial cook fires live on in a love for storytelling, an appreciation for the double entendre and a wealth of colorful colloquialisms. Cultural fusions are heard in the music of tuk bands, which get feet moving with an infectious blend of African rhythms and British folk tunes. Barbados is a sporting island. Cricket is still king, but football, rugby union and basketball matches will all draw a crowd. A uniquely Bajan invention is road tennis, which is a fast-paced blend of tennis and ping-pong played on a swath of tarmac using a six-inch net and wooden paddles. Winter visitors can enjoy an assortment of festivals devoted to food, wine, chocolate, song and art, but the island's big event is the summer's Crop Over Festival, which keeps the party going with a full twelve weeks of dances, parties and parades. Another ongoing island tradition is the weekly fish fry's that take place at locations such as Oistins Bay Garden. In addition to savory seafood offerings, these community gatherings become outdoor concerts and lively marketplaces for arts and crafts. Electricity in Barbados is 115/230 volts/50 cycles. Standard plugs use 2 flat pin or 2 flat pin plus 1 round grounding plug. North American appliances and electronics will not need a converter. The island uses solar power mainly for hot-water systems. There are a few on island phone and internet suppliers that you can use if you have an international plan on your cell phone or roaming charges will apply. Most hotels offer WiFi, as well as some restaurants, bars, coffee shops and cafes. The international direct dialing code/area code for Barbados is (1–246), followed by a seven-digit local number. Barbados was one of the first Caribbean Islands to have piped water, it is safe to drink right from the tap. English is the official language of Barbados, although the Bajan dialect, which is a combination of British English and various West African languages, can be heard all around the island. The local currency is the Barbados Dollar. The Barbados Dollar is fixed to the US Dollar at a rate of 1 USD = 1.98 BDS. Check the current rate here. US currency is accepted across the island, and most stores and restaurants accept major credit cards. There are many commercial banks in Barbados (mostly British and Canadian) and most have ATM's that will accept credit cards. They all dispense funds in Barbados dollars at the current rate of exchange. Make sure to have your PIN number and to let your credit card company know you will be out of the country so the charge will go through. Local currency offers $2, $5, $10, $20, $50, $100 bills and coins of 5 cents, 10 cents, 25 cents and $1. 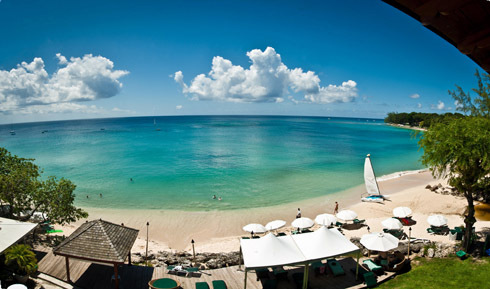 Barbados is 21 miles long and 14 miles wide. Driving in Barbados is on the left side of the road and the majority of vehicles are “right-hand drive.” The island has an extensive road network of paved roads. A highway links the north and the south of the island. There are a number of ways to get around the island by hired car, taxis and buses; all are safe, reliable and convenient. The population of Barbados is 285,006 (2016).